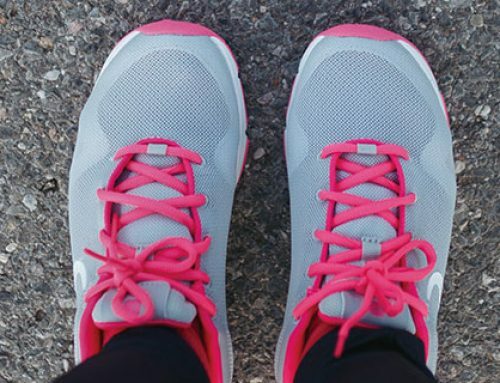 Have you ever wished you could “see” the life of a celebrity? 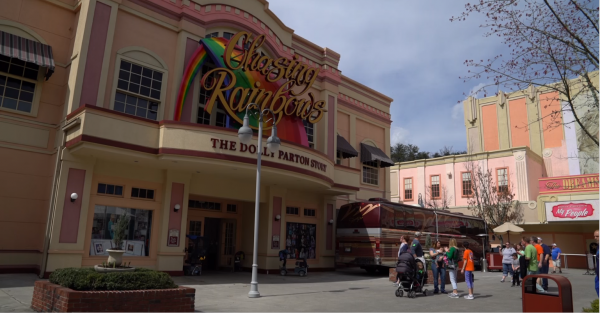 That’s what the experience of walking through Dolly Parton’s Chasing Rainbows museum is like. 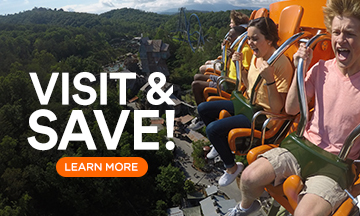 Chasing Rainbows is an interactive experience located inside the Adventures in Imagination area of Dollywood. 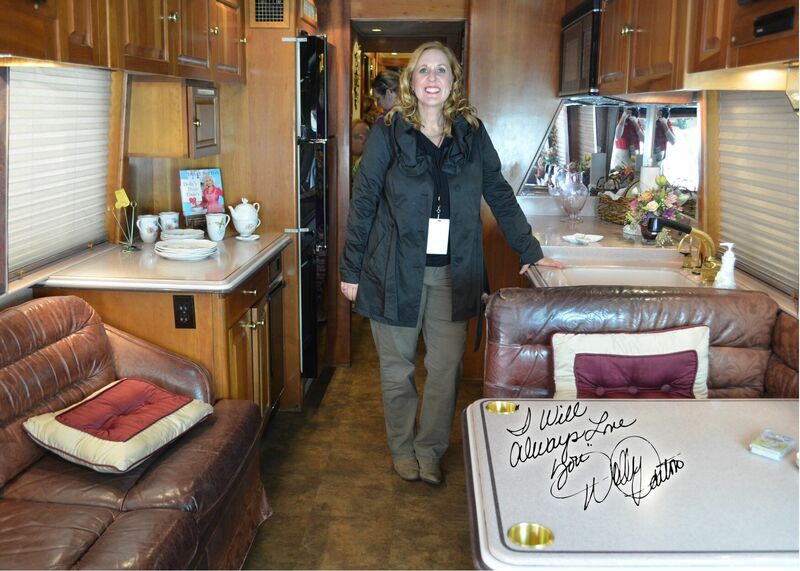 It features literally thousands of mementos of Dolly Parton’s life—from her birth certificate to recent projects. 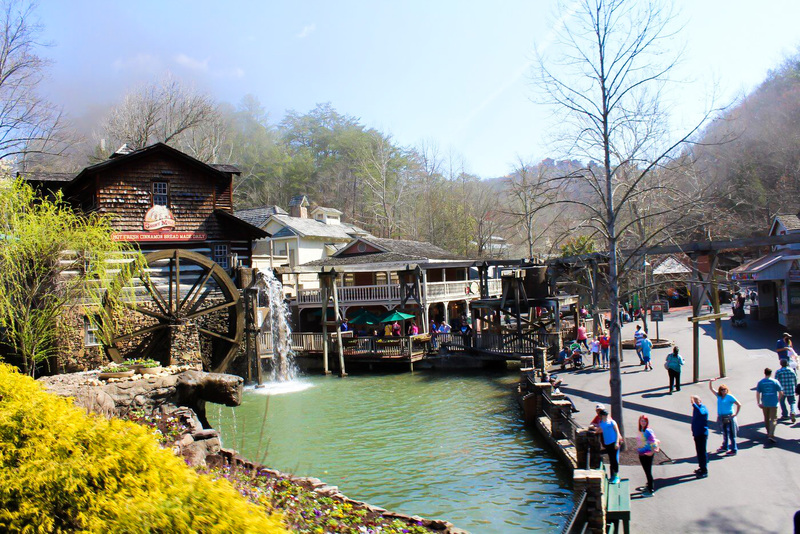 Dolly fans, historians, music fans, and entertainment buffs will find many reasons to be delighted by this two-story museum. 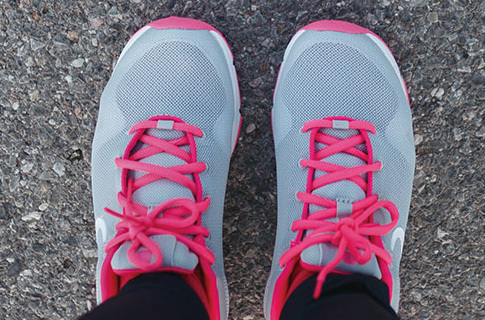 Here’s six reasons you’ll leave Chasing Rainbows feeling inspired. 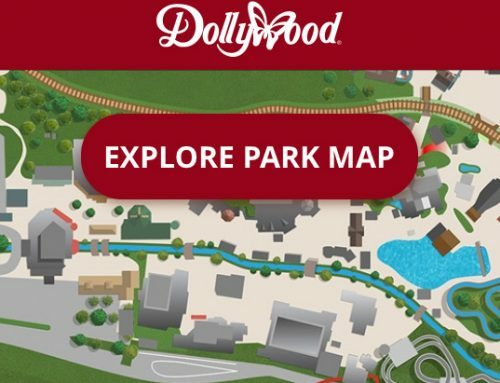 Dolly’s humble beginnings are moving, and you’ll walk through a replica of the modest Parton home, complete with newspaper insulation on the walls to her daddy’s boots near the door. 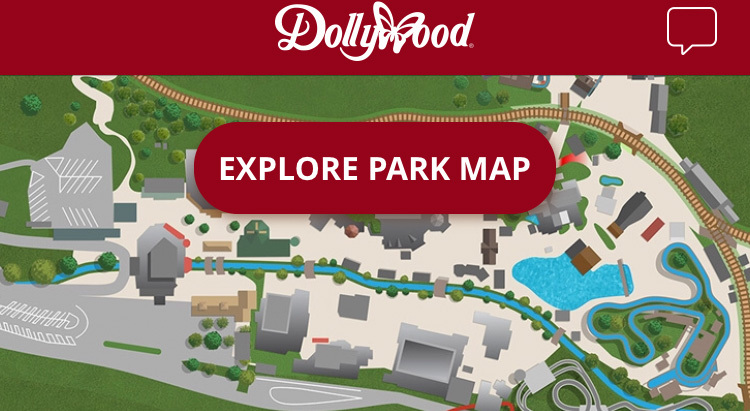 You’ll see replicas of the church and school that helped shape her, and can end your visit with an optional walk-through of Dolly’s old tour bus. You can’t help but be happy for her enormous success! Dolly Parton has written more than 3,000 songs and recorded more than 40 albums! Chasing Rainbows is filled with songs: you’ll find instruments, clips of her early radio and television performances, and even handwritten lyrics scribbled on this and that! 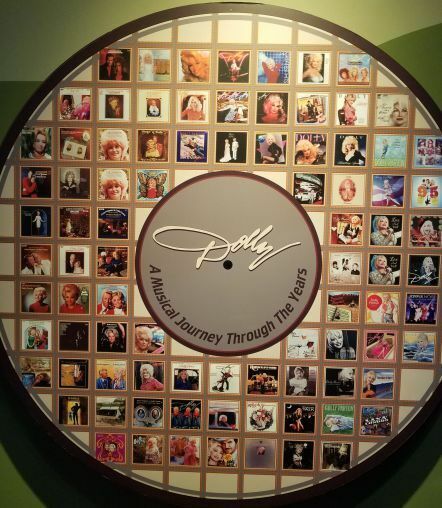 Headphones allow you to listen to your favorite Dolly songs or find a new one, and the museum is home to many of the awards Dolly has earned including numerous Grammys, Country Music Awards, Emmy, and Lifetime Achievement Awards. From her early days with Porter Wagoner to modern television and movie projects, Dolly has worked with everyone in show business. View hundreds of photographs, scripts, set pieces, and more from her accomplished career. 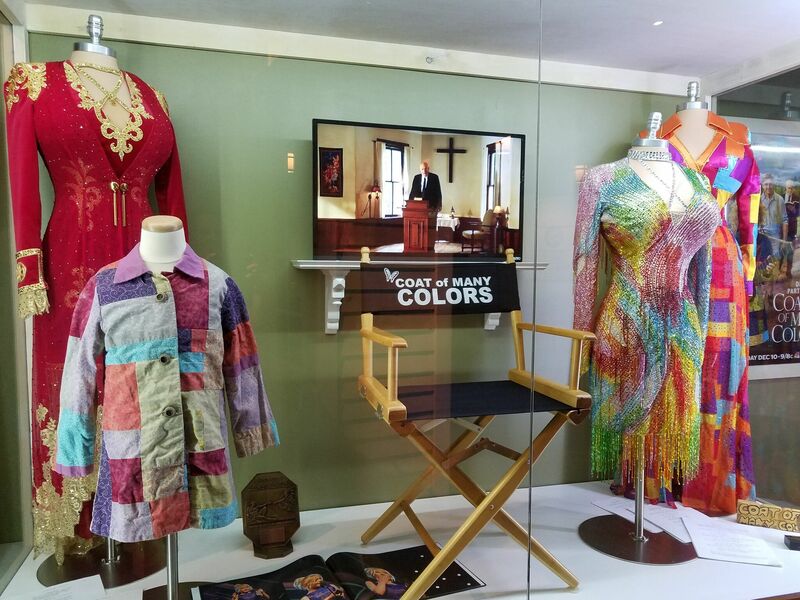 Current displays include costume and props from movies including 9 to 5, The Best Little Whorehouse in Texas, Steel Magnolias, and both installments of Coat of Many Colors that aired on NBC. 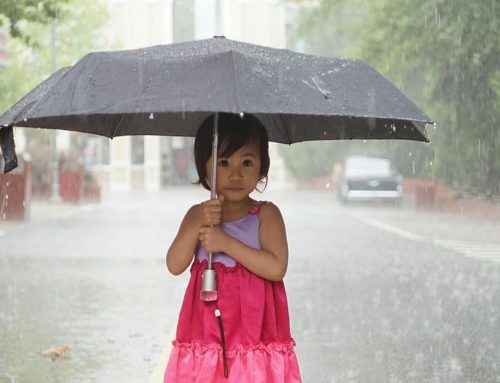 My favorite part of Chasing Rainbows is the ability to peek into Dolly’s closet. Dolly’s costumes, wigs and accessories are incredible, and how does she walk in those high heels? See outfits on mannequins that were specially made for Dolly’s fabulous figure—some alongside design sketches. No matter how beautiful her outfits look from afar, up close you’ll appreciate the attention to detail with handsewn embellishments including her signature bling. Dolly’s Creative Director of 12 years, Steve Summers, is responsible for many of her outfits and curates the museum’s wardrobe selections. 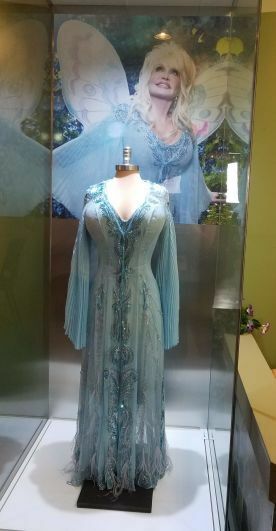 More than 60 years of outfits include appearances, concert outfits, the angel gown she wore on Touched By An Angel, and even the dress she wore to renew her wedding vows on her 50th anniversary. 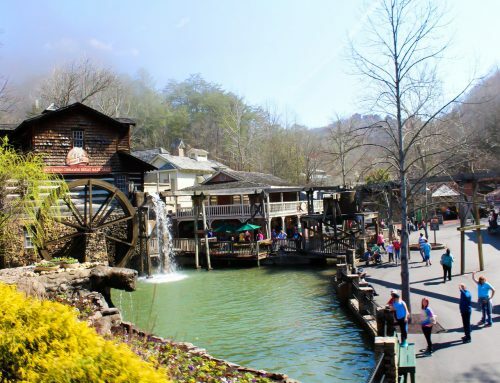 From Imagination Library, Dolly’s non-profit which sends more than a million children a new book each month, to the My People Fund, which has been helping families affected by the Smoky Mountains wildfires, Dolly Parton, Dollywood and its entities have given like no one else. 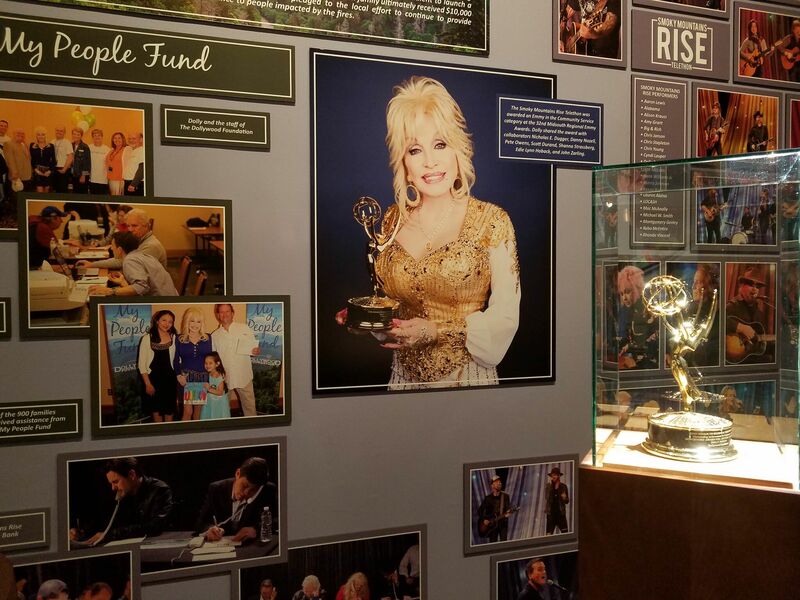 Inside Chasing Rainbows you can learn a bit about how books are selected, and see the Emmy Award given to Dolly for Smoky Mountain Rise, her telethon that raised more than 12 million dollars for victims of the 2016 wildfires. 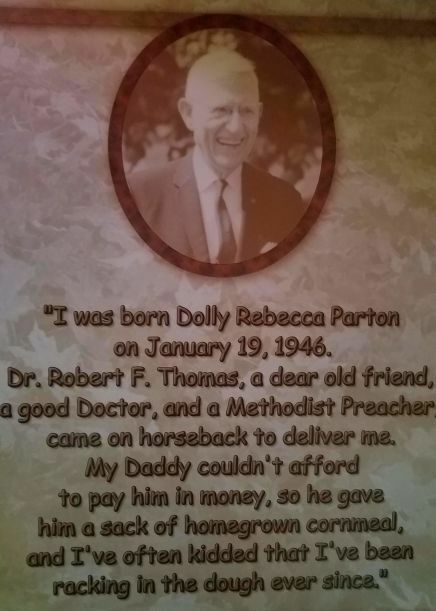 If you’ve heard Dolly speak, you know she’s a delightful storyteller and full of wit and wisdom. Chasing Rainbows is full of interviews, Dolly quotes and other fun including an interactive Q & A game where Dolly pokes fun of herself. 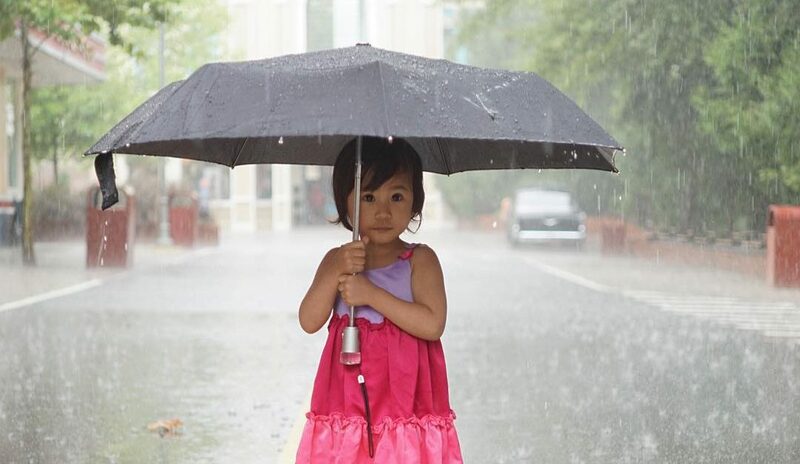 Her humor and positive attitude shines through it all and you can’t help but laugh. After spending time in Chasing Rainbows, you might find you have a greater appreciation of Dolly Parton’s fascinating life than you do now!